Captain America: The Winter Soldier premiered this weekend. This third appearance of the character in the Marvel Cinematic Universe (fourth if you count Loki’s transformation into the character in Thor: The Dark World) is the most satisfying yet. It is also, arguably, Marvel’s most serious film to date, taking on the Bush/Obama surveillance state and transforming Captain America, Black Widow, The Falcon, and Nick Fury into comic book versions of Edward Snowden. For those who have followed Captain America in the pages of Marvel Comics through the years, this political slant will come as no big surprise. Cap has often confronted highly charged political issues. 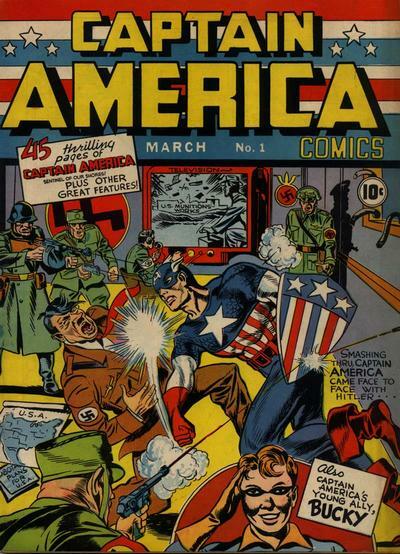 Indeed, creators Joe Simon and Jack Kirby showed Captain America punching Hitler in the jaw in the hero’s very first appearance in Captain America Comics no. 1, a full year before the attack on Pearl Harbor and America’s entry into the war and at a time when political attitudes toward America’s role in the war were still in flux. Likewise, in the early 1970’s, Captain America briefly surrendered his costume and name because of his disillusionment over the Marvel Universe version of the Watergate scandal. 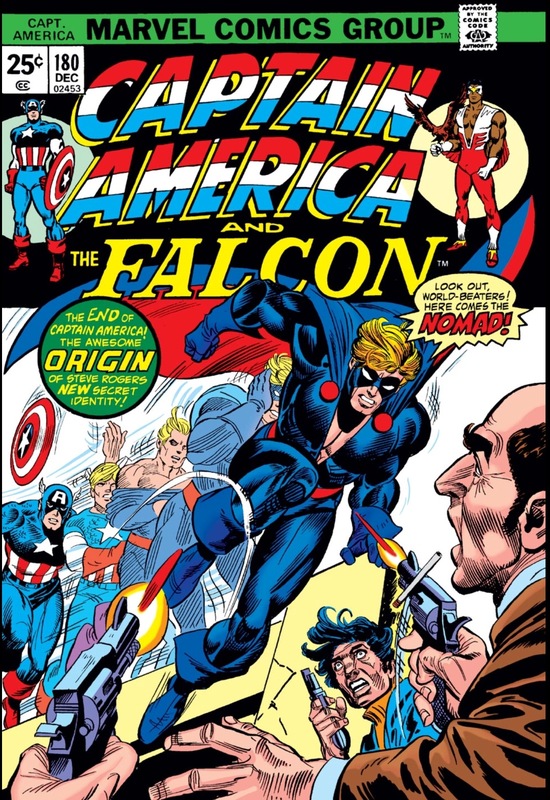 Creators Steve Engelhart and Sal Buscema had Cap take the name “Nomad,” signifying his status as a man without a country. The transformation was short-lived however. In just a few issues, Captain America was back with a new understanding that he could represent the best ideals of his country without having to support the worst actions of its government. In 2006-2007, in the cross-over series Civil War, Captain America led the resistance movement against the Superhuman Registration Act, something many readers have seen as representing real-world America’s Patriot Act. My favorite run of Captain America stories also comes with a strong political theme, and even though it was published in the mid-1970’s, I believe that it is particularly pertinent in the wake of the recent Supreme Court decision in the case of McCutcheon v. Federal Election Commission. 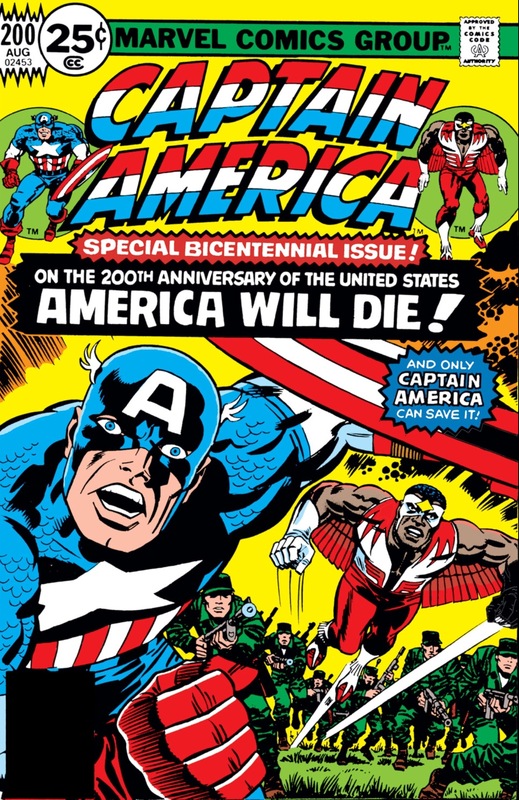 When Jack Kirby returned to Marvel following his brilliant run at DC Comics, it was just in time for the American bicentennial. His assignment to Captain America, a character that he helped to create 35 years before, was a perfect fit. 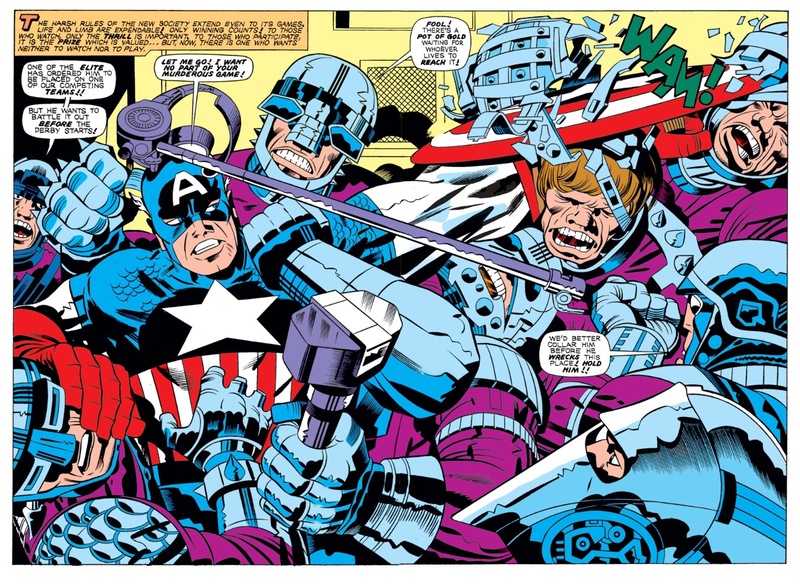 Kirby was at the top of his game, even if this fact wasn’t universally recognized at the time, and Captain America was THE American superhero. (My apologies to Superman.) Kirby’s art leaps off the page. His figures are never static, always moving, a seeming impossibility considering the weight, mass, and solidity Kirby endows them with. 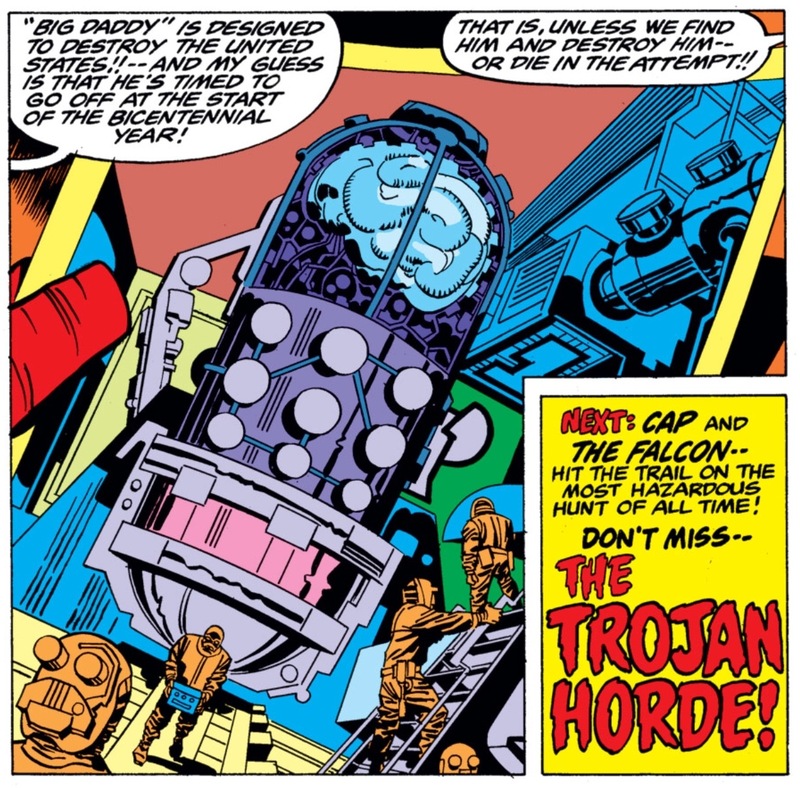 The art forces the story along, making the convoluted plots and stiff dialogue work, making them a central part of Kirby’s overall mesmerizing effect. 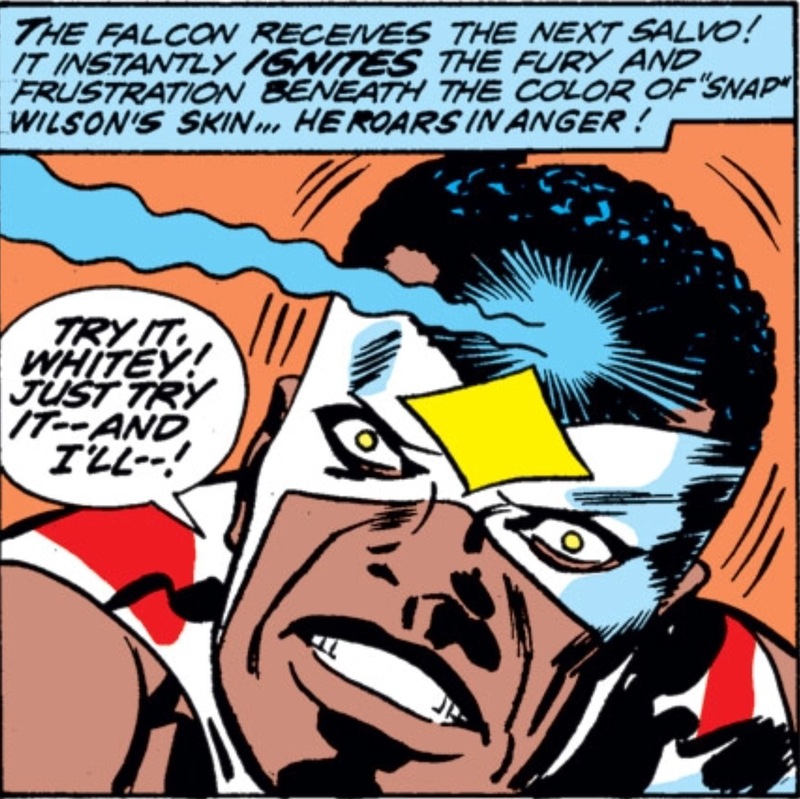 In issue 193, titled, in true Kirby fashion, “The Madbomb: Screamer in the Brain,” Captain America and the Falcon find that a friendly arm-wrestling match at the kitchen table is suddenly turned into an all-out brawl. Once they calm themselves down, the heroes realize that their entire neighborhood has erupted into violence, the result of a bomb, a Madbomb, that causes all within range to break into violent rage. The bomb is only stopped when Cap smashes it with his shield. After teaming up with S.H.I.E.L.D. and, get this, Henry Kissinger (who tells them “You can call me Henny, if you like”), Captain America and the Falcon learn that the Madbomb that had disrupted their friendly sport was only a miniature version of something much more dangerous: a Madbomb nicknamed “Big Daddy”. In Kirby’s hands, the story unfolds in utterly bizarre but typically Kirby fashion. Infiltrating the headquarters of the Royalist Forces of America in an attempt to find and destroy Big Daddy, Cap and Falcon are forced to battle for Cap’s shield in a Kill Derby, a violent roller derby fought to the death and intended to provide entertainment for the Elite’s already enslaved masses. Former S.H.I.E.L.D. agents are transformed into weak-minded brutes who will slave on behalf of the rich and powerful. The enslaved masses adulate before an Orwellian “Big Brother” who proclaims “WE MUST BEWARE OF THE FREEDOM FREAKS!” And, in my favorite chapter of the story, “Captain America’s Love Story,” Kirby revisits his past as creator of romance comics during the superhero drought of the 1950’s in a touching tale of Cap’s encounter with the beautiful, but ailing, daughter of the scientist who designed the dangerous Madbomb (Issue no. 198). Throughout the story, Falcon serves as Kirby’s, and Cap’s, moral center. His experience as an African- American man living in 1970’s America is a counterpoint to the diabolical plans of the Elite. He understands, in ways that Cap cannot, their true evil. The Falcon knows first-hand the power of the Elite to keep the masses in check, and to centralize power in the hands of the few. Fittingly, in the story’s final installment, issue no. 200, it is the Falcon (despite the cover blurb) who risks life and limb (and wing) to destroy the Madbomb. If it isn’t clear from the title of this piece (which I think sounds a bit like a 1970’s buddy cop drama starring Lee Majors as “Madbomb” and Dennis Weaver as “McCutcheon”), I think that Kirby’s Madbomb story tells us a little something about where Captain America, or at least Jack Kirby, would stand in regards to the recent Supreme Court decision in McCutcheon v. FEC. For those who don’t follow such things too closely, this decision removes limits on financial contributions to political campaigns that had been put in place by congress and signed into law by the president, all in the name of free speech. What this means in reality is that mythical “self-made” billionaires as well as aristocratic heirs to family fortunes are now free to buy the votes of politicians with even greater impunity. Instead of making speech freer, this decision in essence makes it even more costly and out of reach for most Americans. I think that Kirby’s Madbomb tale is, in addition to being a great escapist read, a warning against this sort of frivolous selling of political power to the highest bidder, against allowing the elite to take control of democracy. By ruling as they did in McCutcheon v. FEC, the US Supreme Court has, in a sense, allowed the Madbomb to detonate. 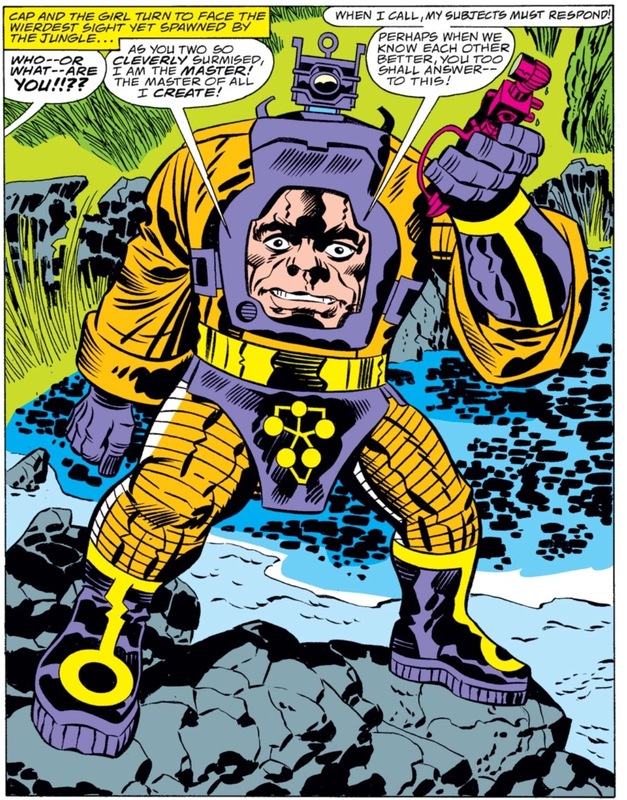 Not wanting to read Kirby’s text as some prophetic allegory for our times, I will resist the temptation to interpret the Madbomb’s control of the masses as some parable about Fox News’ spreading of irrationality and madness to an increasingly uninformed public. 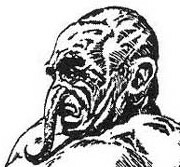 I will also refrain from using Kirby’s story as a way to insist that his politics were identical to my own. I respect him too much for that. However, I do think Kirby’s tale reveals a crucial truth about democracy that was perhaps a bit more appreciated in the post-Watergate era, when many of the campaign finance laws were developed, than in today’s political environment. I also think that the democratic values Captain America and the Falcon fought for way back when are still pretty important today. Perhaps it does a disservice to Kirby’s work to identify the Elite against which Captain America fought with the Koch brothers. It does a greater disservice to it if we fail to heed the warning of the Sentinel of Liberty, and his creator, about the necessity of vigilantly defending democracy against those who would rule from above. Dr. Gregory L. Reece is the author of Creatures of the Night: In Search of Ghosts, Vampires, Werewolves and Demons; Weird Science and Bizarre Beliefs: Mysterious Creatures, Lost Worlds and Amazing Inventions; UFO Religion: Inside Flying Saucer Cults and Culture; Elvis Religion: The Cult of the King; and Irony and Religious Belief. Check out his website at gregorylreece.com. → The Shaver Mystery: Everything You Need to Know about the Underground Forces that Control our Lives! For the heroes to live, great deeds must be served and unfortunately really bad guys to fight. I really like people thrust into the position of being great. They who get over the hump and do the job, bury the instinct to run and stand up for what is right. With that in mind even the meek shall overcome. Barry, courage is something we all hope to have when we need it! I just blogged two minutes ago about the courage of our men and women in the service of our country. To me they are all superheroes. Give it a look and let me know what you think of it. I will be sure to! I’m always a little stunned by how people think that McCutcheon has done much of anything to First Amendment analysis. The First Amendment is not about making sure that everyone has an equal capacity to speak. Ensuring an equal capacity to speak would mean one of two things: 1) raising everyone to the highest possible level, or 2) limiting the higher level speakers to a more reasonable level. The Supreme Court went down this rabbit hole in its Sullivan decision but wisely ignored simple answers. The first option is impossible, so you’re suggesting the second. But the problem should be evident from that very sentence – it’s limitation. If someone is influential enough, the government may limit their free speech to a more manageable level. Don’t you see how that would be a terrible, terrible precedent to set with the First Amendment? To allow limitations based on the capacity to influence the government? The whining about McCutcheon logic usually stops at some arbitrary number value. But why? Sure, banks have more capacity to speak than wealthy individuals, so limit the bank’s capacity. But wealthy individuals have more capacity than middle-class individuals, so limit their’s too. What about the fact that even the middle-class has more capacity to speak than the poor? Do we limit the money spent to only what the very poorest in the country can spend, or do we recognize that, for some reason, the poor don’t have the same right? The First Amendment is not about making sure that everyone can speak equally, it is about making sure that everyone has an equal right to speak, no matter how influential or inconvenient it is for others or for the government. Trying to add some silly expose about how being more influential in the government (e.g. Barack Obama) suddenly makes someone a cartoon villain is bizarre. I think you kind of missed the point! It seems to be more about ‘graft’ and who is in who’s pocket, than ‘free speech’, which is mostly an illusion, especially in America. As to splitting hairs on various ‘amendments’, most of your ‘constitution’ was ripped up by the Elite years ago, so your whole argument is nonsense anyway. Hahah sorry but do you expect to be taken seriously? The only amendment that allows you to speak truth to power (or, in your case, if not truth then at least a cutesy brand of fashionable talking points) is the 1st Amendment. Graft is a side effect of freedom of speech, just as every freedom can be misused, but to turn the conversation into a series of precocious assertions about graft is almost too precious to fathom. Why don’t you try that crap on the millions of unemployed, homeless and hungry, and that’s in America alone. Look what the brainwashed blindness of your kind has wrought on the rest of the world. Try thinking for yourself for a change, instead of parroting the ‘United States of Aggression’ manifesto. Or perhaps you should ask Snowden, Lasagne or Manning what they think of your definition of freedom. How is “letting one’s money do the talking” an expression of free speech anyway? If the individual wants to use his or her money to publish his opinions, get him or herself on talkshows, buy a billboard in Times Square, I think all of that is within your rights as free speech, but to buy off a politician? That is not free speech. That is freedom of purchase. We aren’t allowed to indiscriminately purchase anything we want in this country. Our government should not be for sale. captain America has always been one of my favorite comic book characters. He is one of my favorites as well. Thank you for a well written, informative, educational and entertaining. piece. Hope you won’t mind that I’ve shared it on fb. And if you do mind……well, my apologies. I don’t think Jack Kirby would have any problem at all with equating The Elite with the Koch brothers. Very entertaining and informative essay! I always thought if fighting with only defense was a good idea… now I know that he can also use offense, but really? I geuss that comes as one of the traits of a super hero; run into a situtaion with one of the “craziest” ideas. And there is not much “crazier” than a good Kirby Captain America story. Reblogged this on ASURANSI PRUDENTIAL INDONESIA. Thanks for pointing out the Brubaker run. I’ll try to read it this weekend. Fantastic job putting this together! Good blog ! I put that on my facebook !! Nice article. I really enjoyed it. Love Cap and I agree that he would be very unhappy with the influx of money into our government these days. In this post and in many of the comments, I detect a decidedly liberal slant. Sort of like watching an NBC news program. In short (apologies to Wilkens McCawber), the establishment left represents good and the conservative right represents evil. Evidence that the establishment is leftist appears obvious and the current dominance of leftist ideology is certainly ubiquitous. The left controls government, academia, major media, entertainment and the bulk of the judiciary. To suggest that the current administration, Harry Reid, George Soros and the occupy movement have the moral high ground over the Reagan Administration, Rand Paul, Charles & David Kock and the tea party is quite an assumption. While the US Constitution is portrayed as a good thing (for the most part), I would suggest that the left is the group that has apparent contempt for the document. As for Captain America, he would feel uncomfortable at an occupy event (trash everywhere, urinating in public, drug use) and right at home at a tea party event (respectful, orderly, American flags and “Don’t Tread on Me” banners). wow. First of all, I think you’re mistaking a disgust at the use of money in politics for a “leftist” slant. If it appears that way, perhaps it’s because the right wing are primarily the culprits of this if only because the left wing tends to be less affluent. But I’ll be the first to admit that there’s money on the left too, otherwise we’d have a lot easier time getting rid of it. And as far as contempt for the constitution, it has very little to do with this conversation and therefore is mostly a baseless attack on the commenters and original poster here. Finally, in regards to Cap, he’s originally a poor, orphaned white kid from 1940s Brooklyn and a World War II vet. I highly doubt a litlle trash and public urination is going to make him uncomfortable. Even if it did, Cap is the sort of man who would endure a little material discomfort in order to promote the ideals at the center of the cause. Honestly though, I think what would truly make him uncomfortable is the bigotry and ignorance displayed at most tea party events. Are you able to quote examples of “bigotry and ignorance” and who said them or are you just parroting the Leftists who apparently supply your talking points? Let’s see, bigotry – how about a lot of the hate spewed by Rev. Wright and Rev. Sharpton. Let’s see, ignorance – how about Harry Reid calling citizens of his own state “domestic terrorists” for expressing their first amendment rights. How about “Obamacare” changing to “The ACA” after it proved to be a failure and a fraud. How about “Global Warming” changing to Climate Change after everyone froze this past winter. How about NY Governor Cuomo saying there is NO place in his state for pro-Life or pro-family people. Before about 1968, that would be the great majority of American Citizens. So Captain America would overlook the crude and rude behavior of the Occupy folks because of their “ideals”. So Captain America is a socialist or a communist? Somehow, I don’t think Lee and Kirby would agree – do you – really!!!! I could watch Scidehlnr’s List and still be happy after reading this. Reblogged this on Yet another fine blog … 😀.